Over the weekend, while the weather was almost agreeable, I took the opportunity to start the winter clearing. 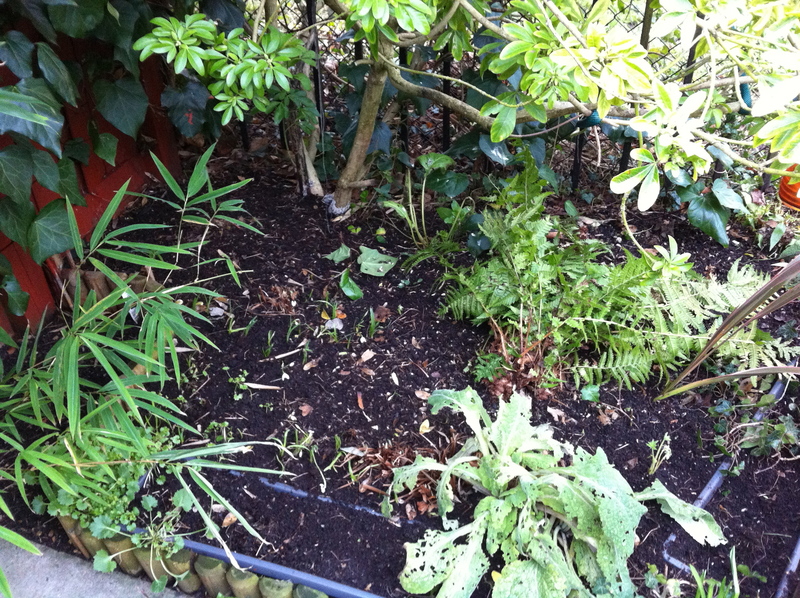 I am generally a very tidy person and I can’t tolerate the mess winter makes of the garden for long. Leaves all over the grass and borders, skeletons of herbaceous plants, dead plants and so on. So, for what was probably for the first time this year, out came the gardening kneeling mats, gloves, fork and scissors and off I set to work. Several hours and a full green bin later, I was about half done in the back but it was getting cold and the sun was setting so I called it a day. I’ll carry on doing the rest another time. One of the cleared areas is under the choisya (Mexican Orange Blossom). The large choysia provides a year-round shady area underneath that’s packed full of plants such as hostas, ivy, fern, lupins and foxgloves that love the cover it provides. This is how to-do lists on fax rolls were invented.